Most of us love nothing more than to go on vacation somewhere hot, however, we can often find the heat quite stifling. So how can you stay cool when you’re spending time in beachfront villas in Barbados, for example? we’re going to take a look at this now. One of the most important things you can do when you’re on vacation somewhere hot is to drink plenty of water. Not only will the water cool you down, but it will also allow your body to sweat. Your body needs to sweat so that it can cool itself down. If you don’t drink enough water your body will not sweat, and you can start to over-heat. It’s all too easy to become dehydrated in a hot country, so having enough water with you at all times is crucial. Take water with you wherever you go, and make sure you order a jug of water with every meal you have. You may not be feeling particularly thirsty, however, your body is likely to need the water, so pour yourself a glass and sip away. Please note that some cafés and restaurants will fill your empty water bottle for free, so it’s worth your while asking. When it comes to drinking a bottle or a glass of water, you should ideally sip it rather than gulping it down. This is because if you gulp the water down your body will not absorb it all, and you will end up needing the bathroom as the water will go straight through your system. Sipping water slowly can help you to stay hydrated, even if you’re only sipping a little water every few minutes. Your body will absorb most of the water you sip, and you’ll feel more refreshed. You may even be surprised how little water you have drunk, but trust me, it works. 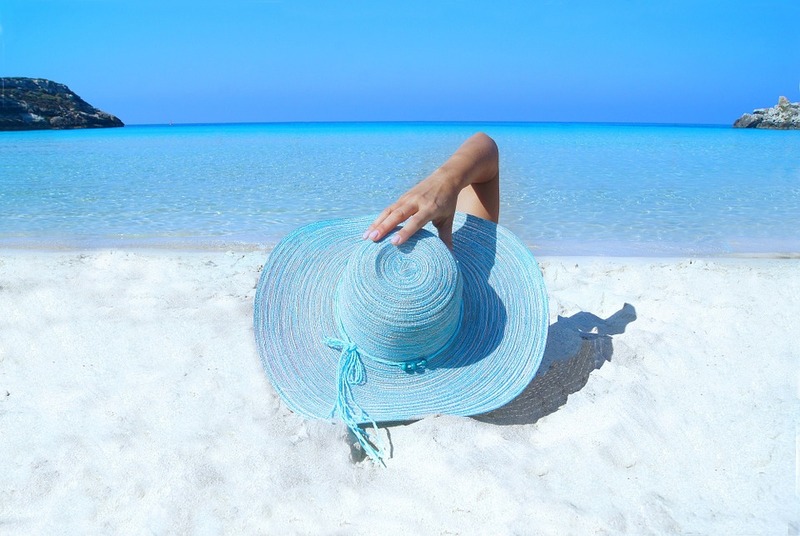 One of the best ways to stay cool is to wear a sun hat. The sun can be quite strong at times, and when it beats down on your head you can find yourself becoming a little too hot. 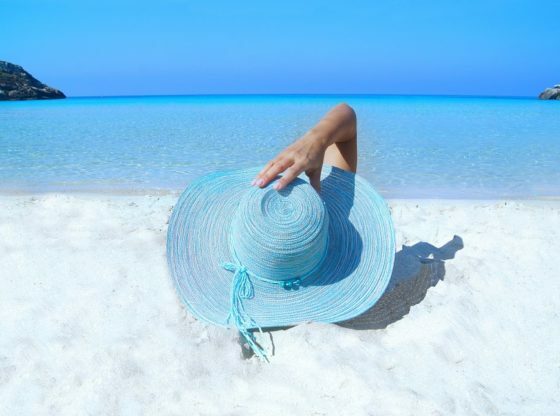 Wearing a sun hat will not only help to keep your head cool, but it can also help to prevent sunstroke. Wear a hat whenever you go outside, even if the sun doesn’t appear to be shining brightly. Don’t forget to put those sunglasses on, as they can help to reduce the sun’s brightness. The sun can often be at it’s brightest between noon and 2 pm but in very hot countries it may stay bright for a lot more than 2 hours. A great way to stay as cool as possible is for you to stay out of the sun when it’s high in the sky. Temperatures can soar at this time of day and you can easily become dehydrated. Why not sit in the shade somewhere, or go back to your villa for a bit of a nap? If you absolutely have to go outside when the sun is at its brightest, make sure you’re wearing a sun hat, and sunglasses. You should also think about making your trip outside a relatively short one so you don’t become too uncomfortable. Don’t forget to use sunscreen at all times, but particularly when the sun is very bright. Make sure you reapply the sunscreen fairly frequently so you stay protected. Many restaurants, cafés and bars have air conditioning, and it can be something of a lifesaver. There’s usually air conditioning in the reception area of a hotel or villa complex, so you may want to head there to cool right down. If when you’re on vacation you find yourself getting hot and flustered, find somewhere that offers air conditioning and stay there until you’re nice and cool. Don’t forget to use the air conditioning system in your villa or hotel room. You may even be able to leave it running all night, making your room much more comfortable to sleep in. The clothes that you wear while you’re on vacation can have a huge impact on how hot your body will become. Try to wear clothes that are made of linen or merino as these fabrics help to draw the sweat away from your body, leaving you feeling much cooler. Clothes that are made from cotton are also good to wear in the heat as they tend to be quite breathable meaning moisture will be absorbed by the garment. However, you may want to avoid wearing that favourite cotton shirt of yours as cotton tends to retain moisture and you may be left with visible sweat marks. Most camping shops sell clothes that wick away sweat easily, so it might be worth your while buying a few tops and trousers. Trust me, when your clothes are not soaked with sweat and you’re cooler than you were when you wore a polyester shirt, you will feel so much better. While staying cool in a hot part of the world may not always be that easy, you can help yourself out by having water with you at all times. Don’t forget to wear a hat when you venture out and make sure you stay out of the sun when it’s at its hottest. Finally, enjoy the air conditioning that restaurants and cafés often have, and let yourself cool down while your clothes wick away sweat.